While 3D eyewear offers an incremental opportunity for ECPs, there are challenges in understanding what consumers want and need for home entertainment. Joe Williams got an unpleasant surprise when he settled down to watched the 3D DVD version of the film Avatar at the home of his friend Dave. TheSudbury,Ontarioman, who was wearing the 3D glasses that came with his own new 3D TV set, couldn’t see the movie properly. It turns out that Dave’s 3D TV came from a different manufacturer than Joe’s and the glasses didn’t work with Dave’s set. Joe Williams’s frustration with the 3D TV experience isn’t uncommon. So what’s a consumer to do? And how can niche retailers like eyecare professionals (ECPs) best position themselves to catch the 3D wave and profit from it? 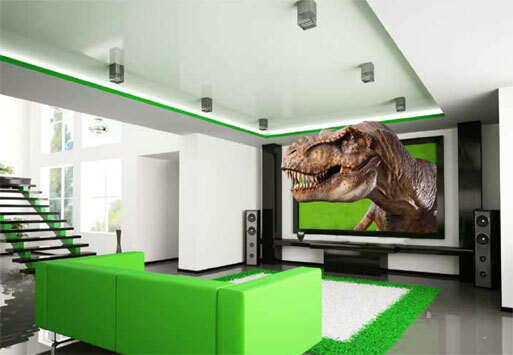 Consumer awareness of the 3D options in home entertainment is growing. The NPD Group’s 3D 360° Monitor reported last February that in just six months, from September 2010 to February 2011, consumer awareness of 3D LCD televisions jumped from 28 to 36 per cent, while awareness of 3D plasma TVs rose from 21 to 32 per cent. However, they also pointed out that the price of 3D televisions and the need to wear special glasses were inhibiting wider adoption of the technology. These consumer pain points are reflected in lackluster 3D TV sales, “with only 1.8 million or about two per cent of all U.S. homes that have a TV owning a 3D set by the end of 2011,” according to a recent report from American media research firm SNL Kagan. They predict that sales growth is expected to increase in 2012 and beyond, as 3D TV penetration grows from about five per cent in 2012 to 21 per cent in 2015. Viewers need special 3D eyewear to correctly view 3D TV and movie productions because the filmmaking system captures two images that simulate the different perspectives of the left and right eyes. The eyewear separates the images so that just one of them appears to each eye, allowing the visual cortex to process the image as a whole, with greater depth and distance. 3D creates the appearance of objects coming out of the screen toward the viewer or drawing the viewer in. There are two types of 3D eyewear competing for market supremacy: active and passive. Active eyewear is battery-operated and contains liquid crystal (LC) shutters in each lens that turn on and off at a high rate of speed in response to a signal from the TV set. Passive 3D eyewear utilizes polarized lenses to decode 3D content by separating images for the right and left eyes using polarized filters. Within the passive category, there are different technologies, including linear polarization, which is used in IMAX® theatres, and the commonly used circular polarization used in RealD theatres. Televisions designed for passive eyewear have a thin film layer on the screen that displays two pictures that match the polarity of the glasses. Four industry giants have joined forces to standardized active 3D eyewear. Panasonic Corporation, Samsung Electronics Co., Ltd., Sony Corporation and X6D Limited (XPAND 3D) are working together to bring a new technology standard to active 3D glasses under the name “Full HD 3D Glasses Initiative”. These universal glasses with infrared radio frequency technology are expected to be available in 2012. Where does all this leave the optical retailer? While a high percentage of 3D eyewear purchases will be made at electronics stores and cinemas (in addition to those bundled with TV purchases), there are excellent opportunities for eyecare professionals to participate in this market by selling high optical quality, durable 3D glasses – both plano and Rx. And manufacturers are responding to the opportunity in 3D eyewear with glasses that reflect current trends. Polaroid, for example, offers passive 3D fashion frames in retro stylings and the season’s latest colours. Ardent film buffs can find frames featuring the famous ‘Hollywood’ sign logo or stills from classic films. The company will be opening optical channels, where fit-over models can accommodate almost any optical frame. Oakley offers the 3D Gascan and the limited edition Transformers Gascan with a Transformers logo on the temple. Marchon is one of the undisputed leaders in the passive 3D field, with several patents awarded and outstanding. The company has created a subsidiary – Marchon3D – solely for the purpose of developing and marketing 3D eyewear to the consumer market. And in a technological coup, Marchon has created lenses that function as passive 3D glasses while doing double duty as photochromic sunwear with full UVA and UVB protection. Available in a house brand collection known as Marchon3D with 11 styles for men, women and tweens, and under the designer labels ck Calvin Klein and Nautica, Marchon3D offers a wide range of 3D eyewear. Prescription wearers can have their needs met by Marchon as well. The firm will collaborate with Younger Optics to manufacture semi-finished Rx circular polarized 3D lens blanks for both single vision and progressive lens wearers, starting in 2012. Ultraclips clip-on sun protection lenses are also available to match many Rx styles across a number of brands. This entry was posted in Special Feature, Technology by Envision Magazine. Bookmark the permalink.